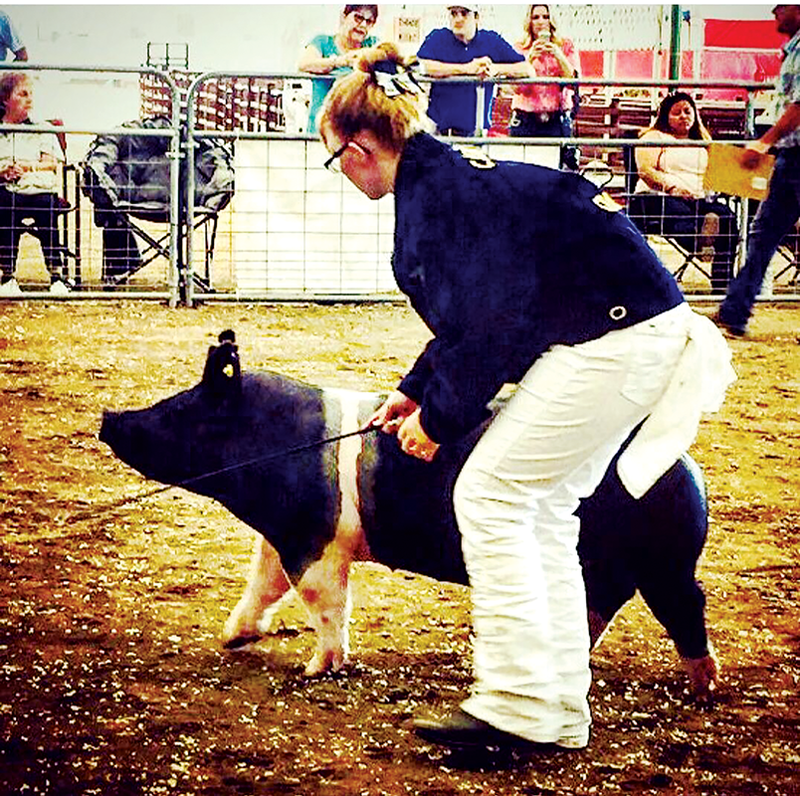 TULARE COUNTY – Each year Tulare County 4-H offers Livestock Judging Day. It’s an opportunity 4-H students rarely receive as to the insight of a livestock judge, as well as what to look for in choosing and raising their own 4-H project animals. This year’s Livestock Judging Day will be held on Saturday, November 3 at the College of the Sequoias, Tulare College Center. Members enrolled for the day will have a chance to judge a variety of livestock animals including cattle, goats, hogs, sheep, dairy cattle, and horses. Between 10-20 Exeter 4-H kids participate in the event each year, said Patty Dreyer, Exeter 4-H leader, the majority of whom are 10-16 years old. About 80% of them have already worked a 4-H livestock project, or have a family background in livestock, she added. During the process, 4-H members learn the reasoning going on within a judge’s mind. They become familiar with, and use Note Taking cards, writing down reasoning for their own placement of a class. They learn to list their initial impressions, and then to describe their reasoning by listing the advantages of each animal. Members then slate out their placement of the top animals in each class. It doesn’t end there, though. Members have to articulate their placements and reasoning to the audience. They learn confidence in public speaking – to be pleasant and natural, authoritative but not loud, and how to end on a strong note. Judging members also need to learn the specie-specific terminology of each animal. There is also a variety of terminology for different classes and age group of animals. And, they need to learn to organize their presentation of the class and the winners in an organized fashion. Enrollees are divided up according to their age an experience – juniors, intermediates, seniors, and adults. There are judged on their judging abilities with points in each class. A tally at the end of the day, reveals how they did. Entries for Livestock Judging Day are due in by Monday, Oct. 22. 4-H members should consult their leaders to register and get involved.